LAHORE: The 15-year-old maid who was brutally tortured allegedly by her employer succumbed to her injuries at the Services Hospital late on Sunday. 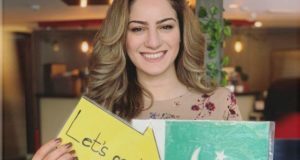 Fizza Batool, daughter of Shamas Abbas of Siaklot, had been working at the house of Prof Salman Rashid in the DHA’s E-Block for the last six years or so. She was first brought unconscious to the National Hospital in Defence area by the professor around 6am on Saturday. Alarmed by her condition and marks of violence on her body the hospital management called police who took Prof Salman into custody. The suspect initially claimed the girl injured herself to avoid punishment for stealing valuables, but later confessed to have ‘mildly punished’ her. The girl was then shifted to Services Hospital where she was kept in the Intensive Care Unit (ICU). Cantonment SP (Operations) Umer Riaz, who is also looking after the investigation wing, said medical board’s initial findings showed at least 13 internal and external injuries on the girl’s body. He said the suspect used some blunt objects to torture the girl that was so severe it badly damaged her kidneys and lungs. The SP said the girl was malnourished and that her immune system was also damaged. He said the case earlier registered under section 324 of the Pakistan Penal Code (PPC) would now (after the girl’s death) carry section 302. The case had been registered on behalf of state to save the girl’s family from any pressure for ‘reconciliation’, he added. He said as the girl was apparently abandoned by her parents who got separated, her paternal uncle and grandmother had been contacted telephonically by police. 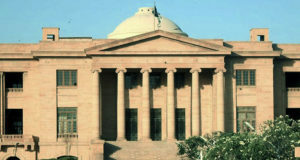 The SP said Salman Rashid, who was nominated in the case, was a professor at Islamia College Railway Road. He said the doctors had found no signs of sexual assault on the girl. Meanwhile, chief minister’s adviser on health, Khawaja Salman Rafique and Child Protection & Welfare Bureau chairperson Saba Sadiq inquired after the girl at the hospital and directed doctors to take special care of her. 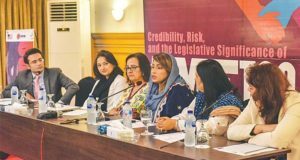 Saba Sadiq, talking to reporters, condemned the incident and emphasised the need for legislation to curb such incidents.